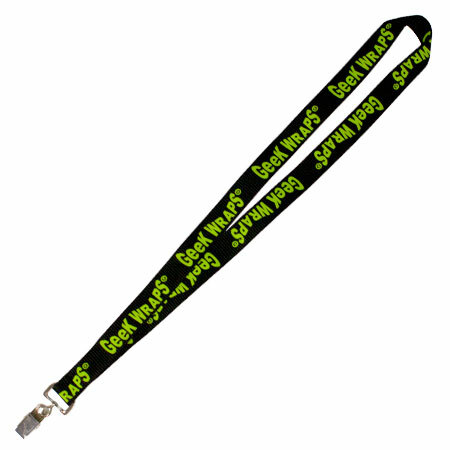 Carry your keys, ID or badge in style with the official Geek Wraps lanyard. Made from 3/4 inch nylon, it features a bulldog clip for easy release. Imprinted on both sides with the Geek Wraps logo.